Remote interns, born out of the wedlock of internet and internship, have seen a major rise in the internship opportunities of late, especially in the startups. There are so many roles—content writing, social media marketing, graphic design, and even software development— which can be effectively done remotely. Irrespective of academic calendar, they’re always available. You might find a great coder/writer/designer to work with you in office during summer/winter vacation. 1. Make her feel that she’s a valuable part of your team. You might have great office environment with great people working with you, but as a virtual intern, she isn’t aware of the same. It’s your duty as a mentor to instill the sense of being a team member in her. Small team-building activities could help a lot – like sending a welcome email introducing her to the team or setting up a Skype call for the same. 2. Have continuous feedback sessions – Remote interns, not being part of the office space, run out of steam pretty soon. You need to keep them motivated about the work. Spend time on understanding how exactly she went about the given task, if she faced any problems, if you could/should have helped her in any way in it, if she liked/disliked doing it. Identify the points where you think she could improve and point them out for her — have an open discussion. 3. Synchronize the schedule of catch-ups – mostly, virtual interns are college students. You are at office from 9-6 and you feel like having a discussion with them in those hours. Sorry, won’t always work! They have their college classes too. Come up with a schedule which works for both – you and the intern. Inform her beforehand if you’re calling and try your best to stick to schedule. ‘I had about 5 remote interns at one time. I used to call them at night; on some days I was able to talk to everyone as scheduled and on some others, I could talk to only one. It was chaotic initially, but then things settled down and it was fun managing them all at once’, said Anuj Kalbalia, co-founder of Ungineering, an IT sector startup that is into training students in coding skills. 4. Define tasks and compensation – cannot stress enough on this point. You cannot assign a humongous task to your interns and expect them to complete it. Have a defined notion of the work-hours they need to put up in their work- say, 18-20 hours a week. About compensation – remember that it works as a huge motivation for college students and being a college student with no negotiation experience, it is very easy to fall into the temptation of saving some money by under-paying them. Never do that! Put yourself in their shoes and judge if the tasks given are worth the compensation. 5. A good mentor is the key to a good remote intern. Remote interns generally form the impression of a company based on their mentors. Thus, as a mentor it is very important to maintain a genial professional relationship with your intern. And mind you, they are a powerful medium of advertising (through word of mouth) for your startup. Remote interns can prove to be an effective workforce for you, especially if you’re a young startup. As a testimony of that fact let me tell you this little snippet about Internshala – in the first two years of its establishment, the whole team of Internshala was of remote interns! Slowly as you gain foothold in the market and the work becomes more diversified, it’s advisable to hire in-office interns. 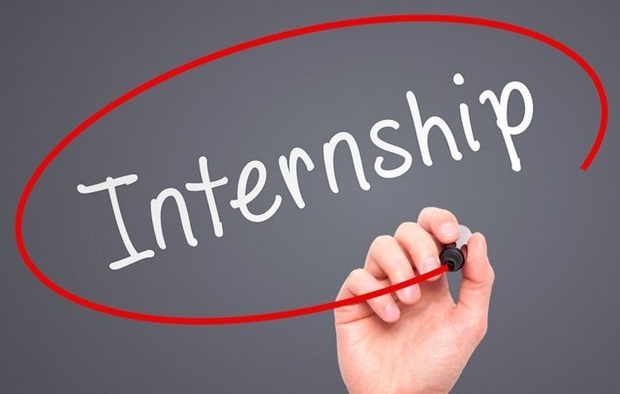 You need more dedication, better understanding and an emotional connect to the enterprise – all of which is possible with much less effort for in-office interns. You could check out this quick guide to hiring interns for your startup. Hope this article has helped the fellow startup employers with the insights on managing remote interns. I would love to hear if you could add anything to it; mail me at [email protected]. "The ABCs of Managing a Remote Internship Program", 5 out of 5 based on 1 ratings.